But this year the tournament has moved to the suburbs and Hard Rock Stadium is Osaka country with Naomi and Mari growing up three miles away and learning to play tennis almost in the shadow of the Hard Rock home of the NFL's Miami Dolphins, who are part-owned by the Williams sisters. "It is a bit weird that I have to give her advice and she is my older sister," Naomi told reporters on Wednesday. "But she has been doing like newbie mistakes. "Yesterday it rained out all day but she came here at 11 o'clock and her match was the fourth on. "I mean, like, what are you doing? Stuff like that I have to talk to her about." "Up until I was 15 she was 6-0ing me, it was ridiculous," the Australian and U.S. Open champion said. "In the win-loss record she is up by a million or something." Even if Mari's stay ends up being short, however, Naomi is enjoying having her sister by her side. "It's nice because you can give each other advice especially if you have played the opponent," Naomi said. "I really enjoy having her around, most of the time we don't play the same tournaments. "For me I don't really talk to that many people and she is sort of the nicer one in this relationship." 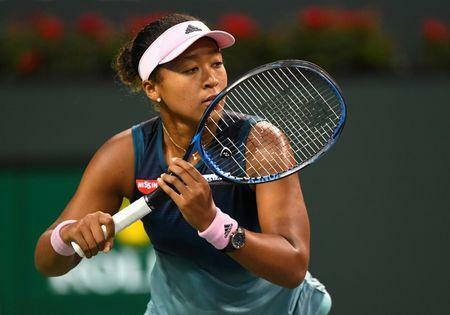 Mari Osaka's focus will be getting past the first round and advancing any further would be considered a wild success but Naomi will have loftier objectives. "I actually drove past this (stadium) a lot when I was a kid," she said. "I grew up watching all these great players winning it so just to come from being a kid in the audience to being the one holding the trophy would mean a lot."